French Revolution. Directory Costumes 18th century. Top row left to right: Deputy by the Council of Five Hundred. Gala costume of a member of the Directoire Revolution Board from 1794 to 1799. 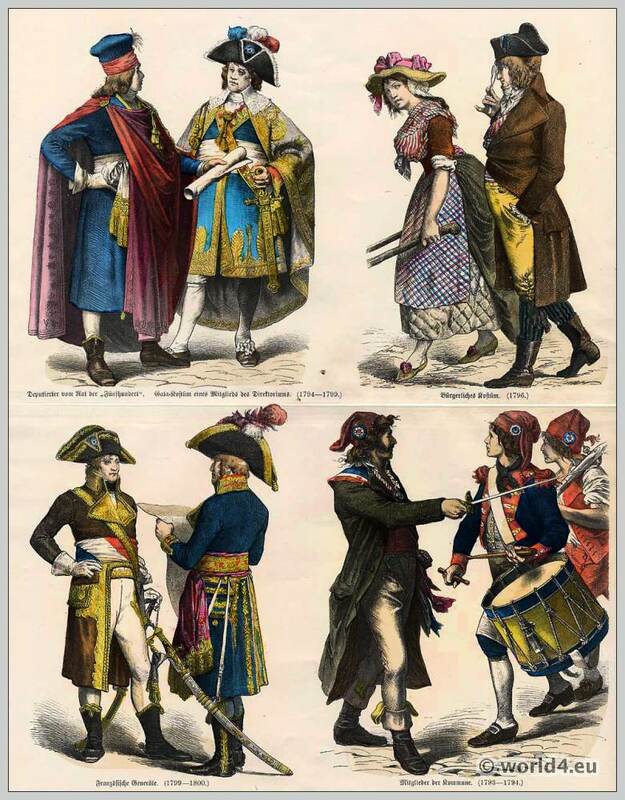 Right: Civil French Costumes, 1796. Bottom row left to right: French generals 1799 to1800. Right: Members of the Paris Commune with Jacobin hats 1793 to 1794. Related: On the history of costumes. Münchener Bilderbogen. Edited by Braun and Schneider 1860. Read more: The Days of the Directoire. 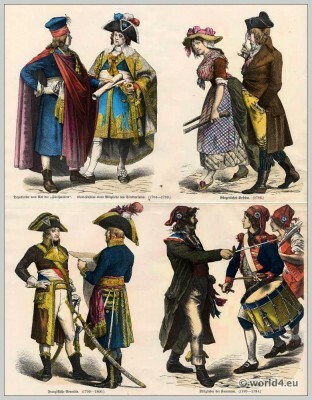 Costumes under the French Revolution. This entry was posted in 1794, 1795, 1796, 1799, 18th Century, Directoire, France and tagged French Directoire style, French Revolution Costume, Münchener Bilderbogen on 1/23/14 by world4.